Australian financial technology company, Moneysoft, has boosted its capabilities as a leading provider of Personal Financial Management solutions with four key appointments. 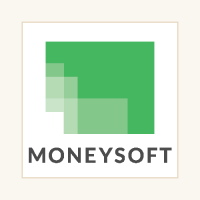 Miles Casbier and Indra Bhosale join Moneysoft’s sales team with a wealth of experience in financial services and client relationship management. Craig Fletcher joins the team to head up process and delivery management and Ann Cook joins Moneysoft’s marketing team to help drive growth and continue building the company’s strong presence in the financial planning market. The company’s growth strategy was recently supported by a significant investment from Link Group (ASX:LNK), a global provider of fund administration, share registry, shareholder management, analytics and services. The partnership with Moneysoft will allow Link to enhance its super fund offering aimed at improving member engagement.